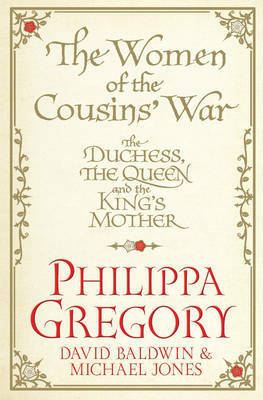 Elizabeth Woodville, The White Queen (2009), Margaret Beaufort, The Red Queen (2010), and Jacquetta, Lady Rivers, The Lady of the Rivers (2011) are the subjects of the first three novels in Philippa Gregory's Cousins' War series, and of the three biographical essays in this book. Philippa Gregory and two historians, leading experts in their field who helped Philippa to research the novels, tell the extraordinary 'true' stories of the life of these women who until now have been largely forgotten by history, their background and times, highlighting questions which are raised in the fiction and illuminating the novels. With a foreword by Philippa Gregory - in which Philippa writes revealingly about the differences between history and fiction and examines the gaps in the historical record - and beautifully illustrated with rare portraits, The Women of the Cousins' War is an exciting new addition to the Philippa Gregory oeuvre.